The weather is finally getting crisper here in North Texas. While the calendar has said for weeks that Fall is here, the weather is finally starting to agree. We have tons of produce on hand that is perfect for this time of year. I have sweet potatoes and white potatoes to use up. I have a couple of heads of red cabbage and a bunch of carrots I need to use up. Of course we have lettuce and tomatoes and such. 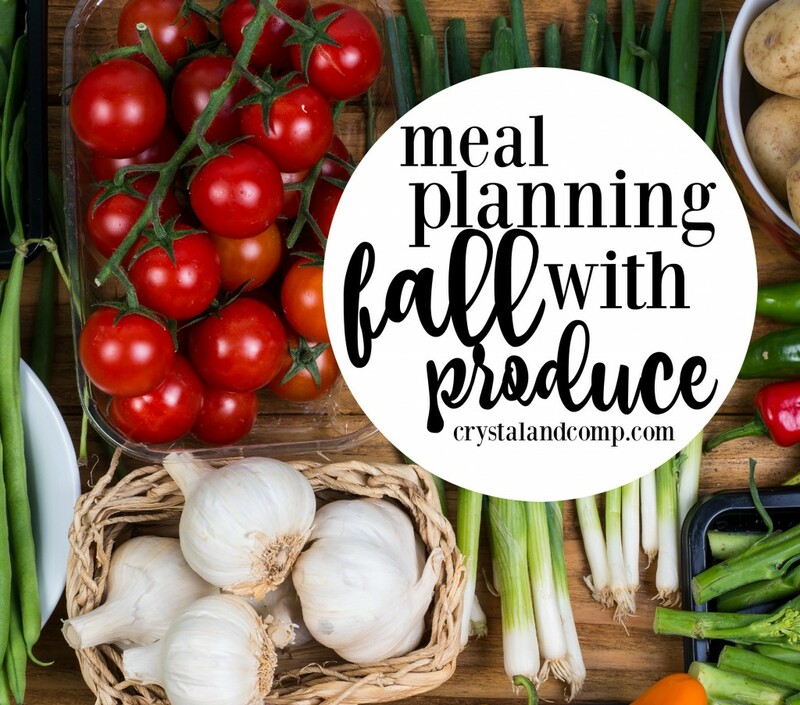 Here is how I plan to use up fall produce in my meal plan this week. Baked Chicken, Sweet Potatoes and Carrots– this is a great way to use up a lot of our produce. Instead of adding yellow potatoes and sweet potatoes, I am only going to do the sweet potatoes and instead add carrots. I think I might even add in some red cabbage. This sounds perfect for dinner. Baked Lime Garlic Salmon– easy peasy. Served with rice and a veggie and rolls. We have some fresh Alaska salmon in the deer freeze that a friend gave us. Cheese Scrambled Eggs– with bacon and biscuits. Does your family love breakfast for dinner? We do! Fish Tacos with Red Cabbage– I am going to mix this up a bit too. Instead of grilled fish, I have some frozen beer battered fish. I think it is cod… I will have to check. I made tacos before using this- it’s been a while, but the kids loved it. Two of the kids I tell them it is chicken… it is the only way they will eat it. The only fish they do not complain about is salmon. This will be a way to use up some of the red cabbage and some avocado and tomatoes I have on hand from our produce delivery. And we like to use feta cheese for fish tacos. I can use the leftover feta for the next recipe. Crockpot Mediterranean Chicken– we love this! Served on a bed of rice with hummus and pita on the side. Leftover Buffet– if there are any leftover. What day each week do you create your meal plan? I would love to know what you’re having this week! 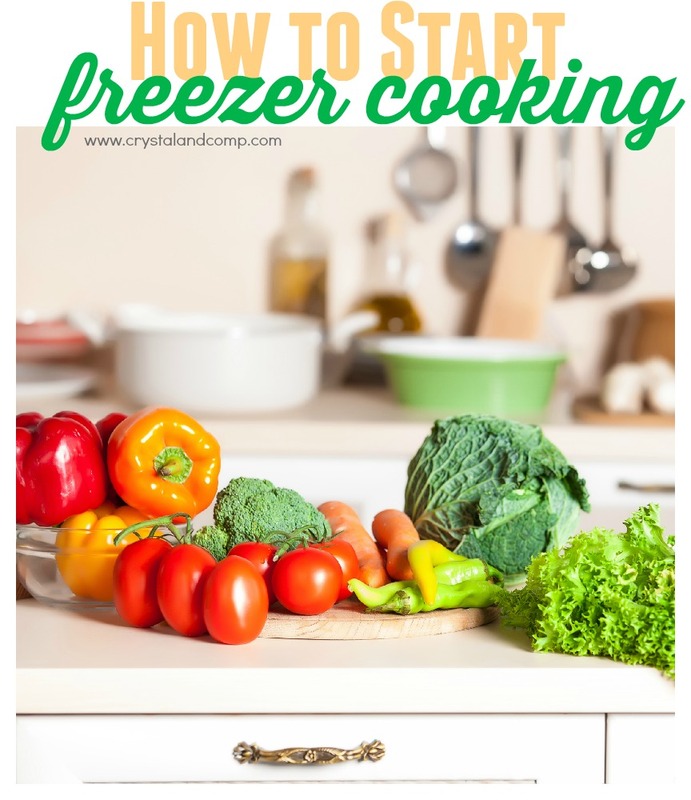 For more meal planning resources, check out my friend over at OrgJunkie where she shares her meal plan every Monday! The kitchen is heating up and I am trying to avoid the oven. Are you to this point yet? Cooking in the slow cooker is an awesome option! Here is our meal plan for this week. I’m incorporating lots of fresh produce because my fridge is super full from our produce delivery. Slow Cooker Sunday Dinner– I have fresh potatoes and rainbow carrots I am going to use in this. This is a family favorite- I’ve been making it for years. Tacos– You can either make the filling in the crockpot or even batch cook taco meat on the stove top. I love both. I have fresh tomatoes and lettuce I need to use up. Pinenut Meatball Veggies– this is perfect! I have some zucchini to use up and some spinach coming in this week. I read where Tiffany shared this last week and my mouth has been watering ever since. I will serve over spaghetti sauce with some noodles and a side of fresh fruit. We have peaches, pears, plums and pineapple! Crockpot Stuffed Cabbage Rolls– you read that right! I actually have a casserole style slow cooker that I am going to do this in. I cannot wait! I have another head of cabbage in the crisper drawer that needs to be used up. I will serve with this a salad and fruit. Slow Cooker Chicken Potatoes and Green Beans– different from the first recipe. This one looks a bit lighter (the first one is more of a comfort food recipe). I have a bag of fresh green beans I need to use up. Can’t wait! Served with fruit. This menu has me starved! 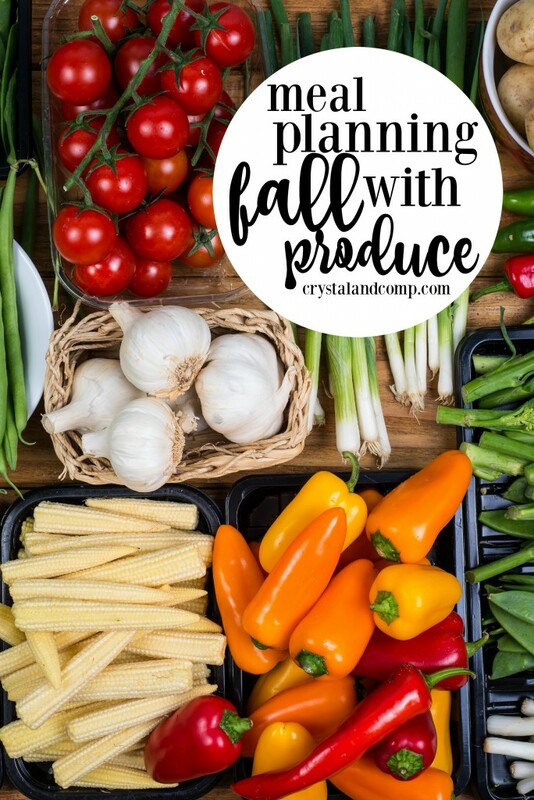 If you’re struggling with meal planning, I can teach you how to get it on the table in 5 simple steps! 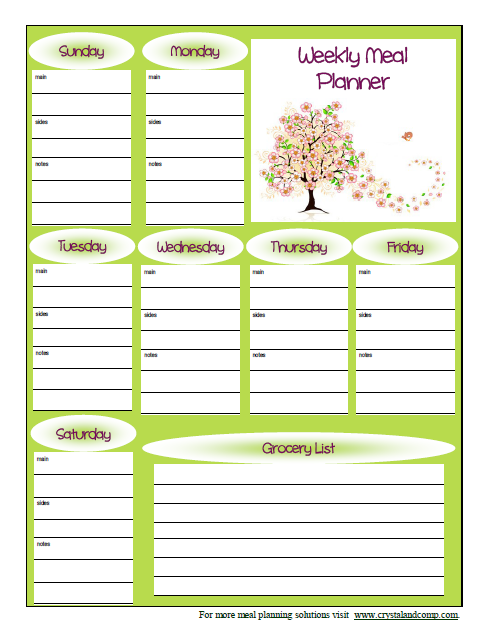 Need a free printable meal planner? I have tons to choose from! Have you seen some of our recent produce creations? 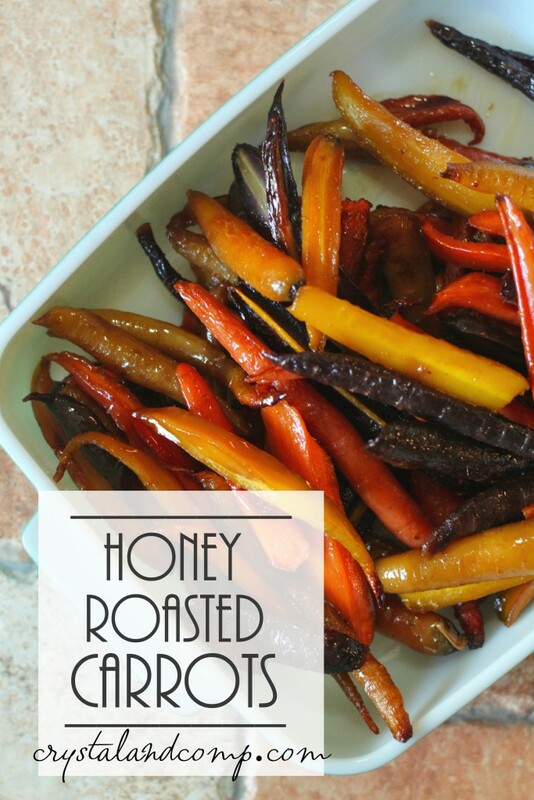 These honey roasted rainbow carrots were the bomb! 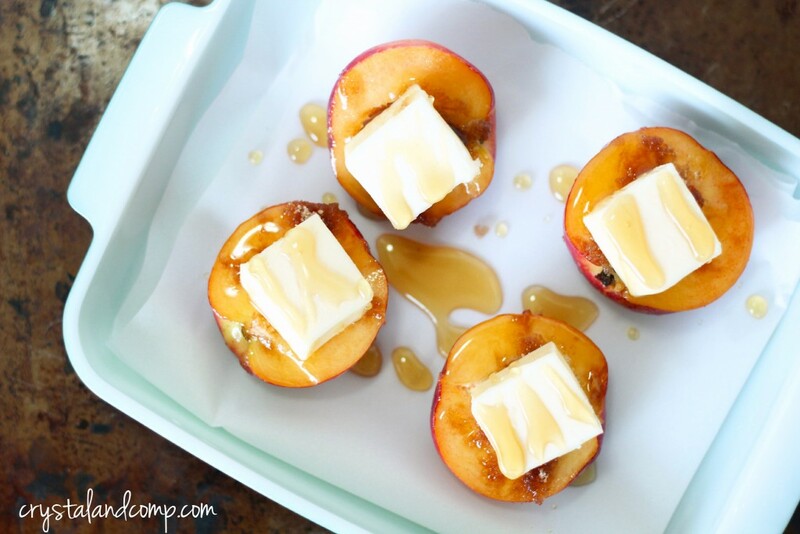 We made oven roasted peaches too. These were perfect with ice cream! 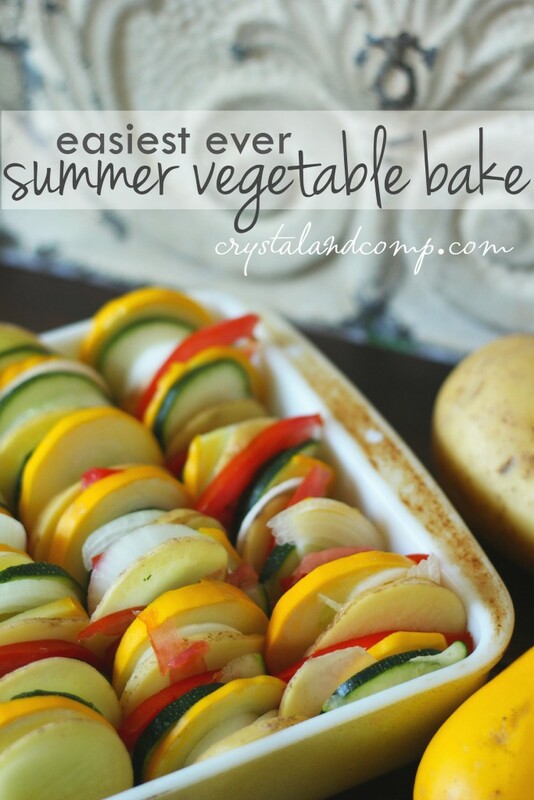 And this summer vegetable bake (which can be cooked in the crockpot) my gobbled up in no time flat! Tell me, what’s on your menu this week? Check out OrgJunkie for even more ideas! Have you prepared your weekly meal plan this week? I try so hard to get mine done Sunday night or Monday morning. We had a super busy weekend so I am running behind. 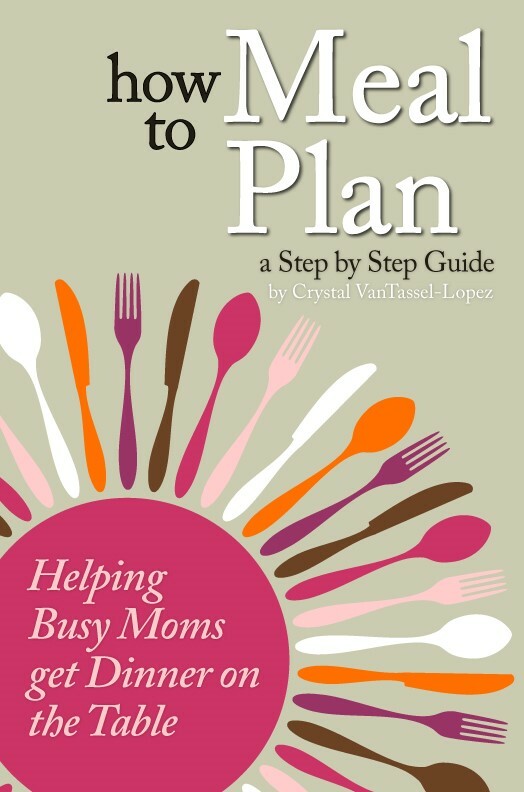 I spent Saturday in Abilene at a conference speaking to moms about Meal Planning. I love the opportunity to connect with other women and help them get dinner on the table for their families. It is so very rewarding. When I speak to moms I am always reminded of the basis things that women forget in this busy season of their life. Moms need to be reminded. As you meal plan this week, I want you to remember these two very important things. One: Your children do not want a gourmet meal. They do not care if you are the next Iron Chef. They simply want dinner around the table together as a family. Two: I want you to remember that you can start meal planning any day of the week. You do not need a New Year’s resolution. You do not need it to be Sunday night or the beginning of the month. You just need to be ready to make the commitment to do it. It really is as simple as five easy steps! Are you looking for weekly meal plan ideas? Here is what I am serving my family this week. 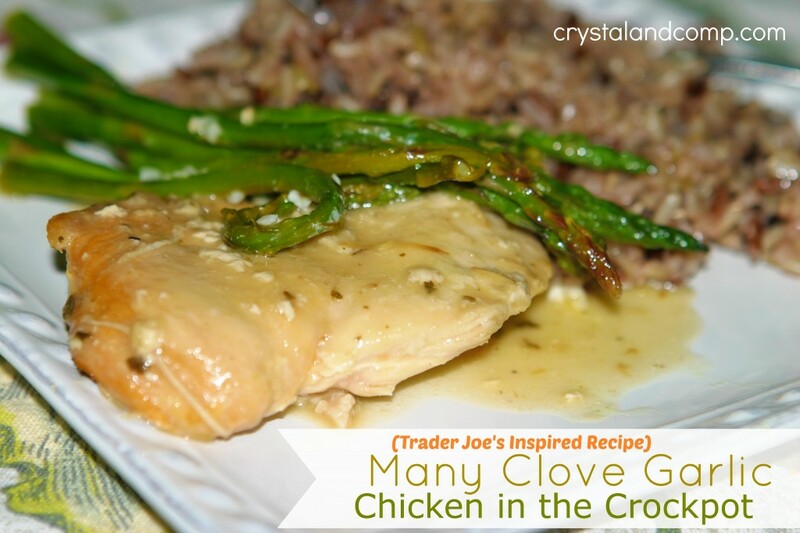 Trader Joe’s Many Clove Garlic Chicken– served over rice with fresh fruit on the side. Omelets– my friend Kim brought me tons of eggs again (they raise chickens). This is how we will use them up! Crockpot Creamy Black Bean Chicken– this is so yummy. We serve it in tortillas. Lasagna Roll Ups– I am going to make a variation of this using ground beef. Served with rolls. White Chili– this sounds so delicious! Served with cornbread. Make sure you print out my free printable meal planner that is themed for March! You’re gonna love it! What are you cooking this week? 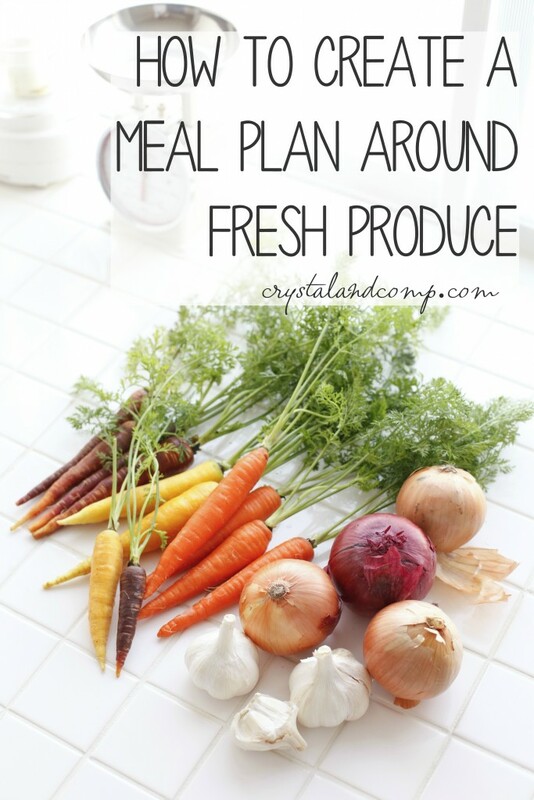 Have you sat down and mapped out your meal plan? Each week my friend Kim and I make a trip to Trader Joe’s. I have fallen in love with this place. It is a bit of a drive- about 25 minutes from my house. Anything I cannot get at TJ’s from my shopping list I pickup at Target. This week our trip is not going to work out but I knew this in advance last week when we made our trip. I stocked up on a few things and I am going to try to utilize as much as I can from my pantry and just grab fresh fruits, veggies, dairy, etc., this week at Target. We still have a nice stockpile of beef and we have a fair amount of chicken in the freezer too. 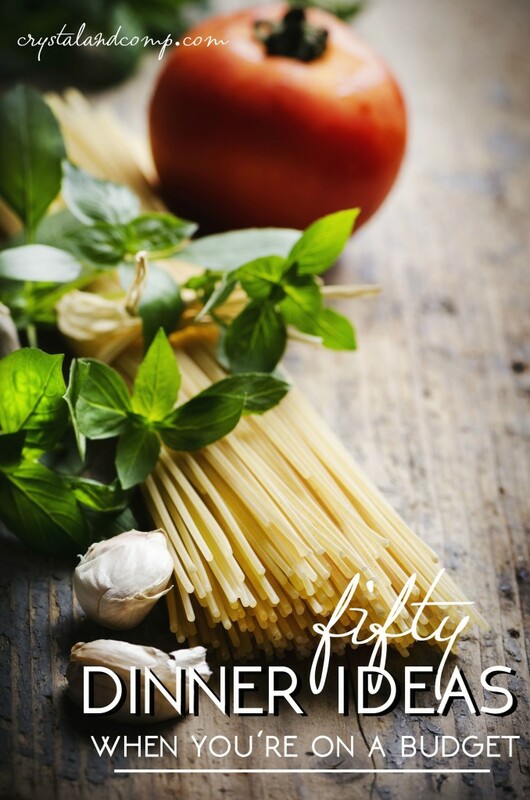 Quick Spaghetti Recipes– this is super easy and everyone loves it. I have some fresh butternut squash and broccoli that I have to use up before they go bad, so we will have those as sides. Usually we serve this with salad and bread. Chicken Orzo Soup– I have everything on hand. Served with crescent rolls of the refrigerator variety because I have them on hand. Beef Stir Fry– super easy stove top recipe that cooks in 30 minutes. Maybe Anthony can make homemade egg rolls again? That will require grabbing cabbage and egg roll wrappers. Crockpot Sunday Chicken– all I need for this is organic potatoes. Kicking myself for not grabbing these a TJ’s last week. Luckily, Target carries them, it is just pricier. Steak– on the grill with crockpot mashed potatoes and a lentil feta salad (I’ll share the recipe). 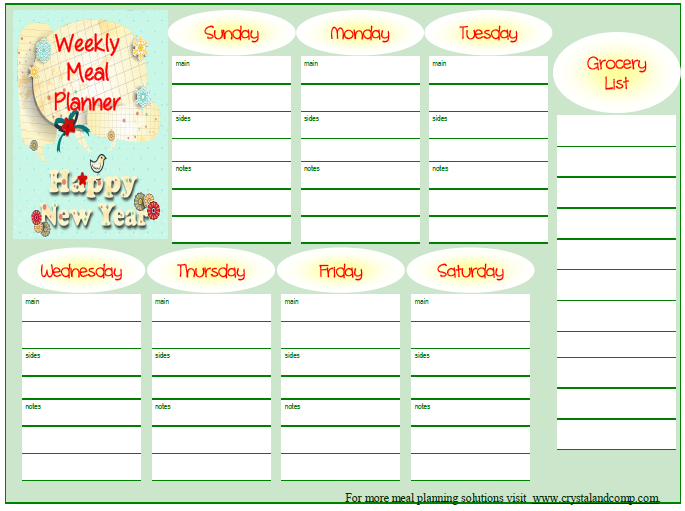 Make sure you print out my free printable meal planner that is themed for January! You’re gonna love it! The weather here in Texas is crazy. We had two really cold days last week- like in the 20’s/30’s/40’s. That is cold for us! Then this weekend it was 90 degrees! Well cold weather and rain are on their way again this week. I am in the mood for comfort food and soups. Here is what we’re having. Lasagna Soup– I made this today in the crockpot. I knew better than to add the noodles in the beginning stages…. did it any way. It was mush! We tried to eat it. At the last minute I grabbed some leftover beef in the fridge and made nachos quickly before we headed to football practice. I will try this again, just a different process. Crockpot Roast with Potatoes and Carrots– this is comfort food at it’s best. I will make Trader Joe’s cornbread to go with it. Yum! 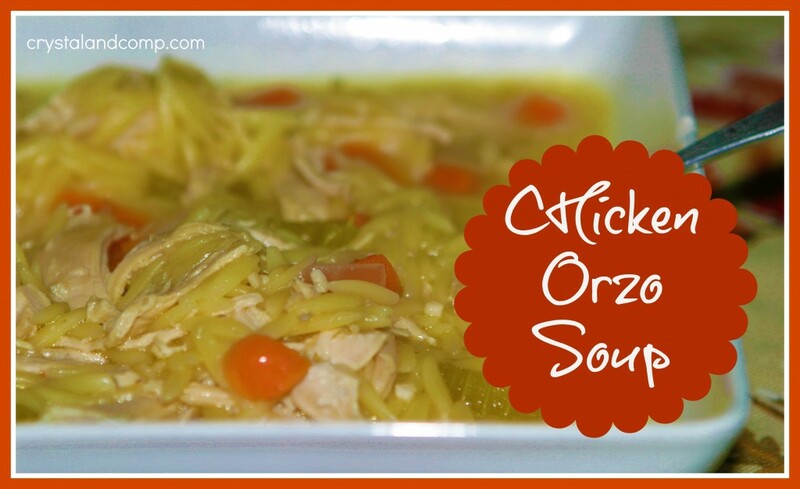 Chicken Orzo Soup– this is amazing. I’ll make dinner rolls to go with it. Bean and Meat Chili– served with cornbread. Yes, I have two boxes on hand. Make sure you print out my free printable meal planner that is themed for November! You’re gonna love it! How is meal planning going for you? Are you writing out your plan every week? 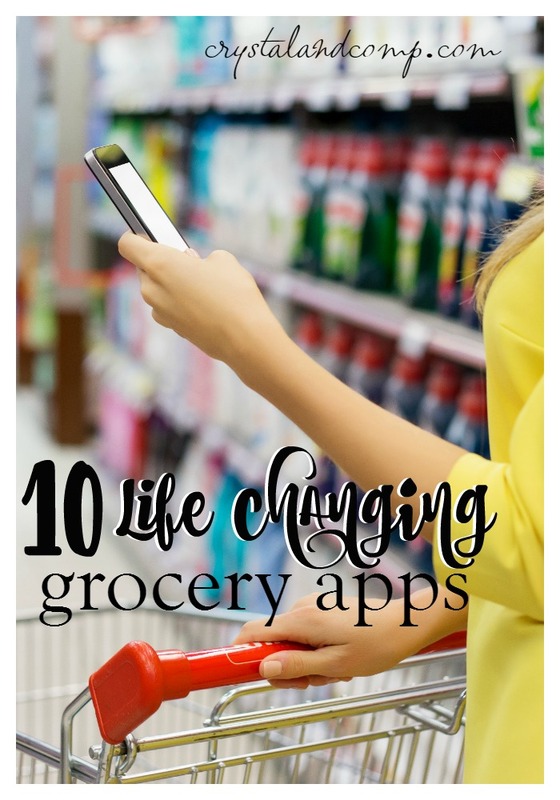 Grocery shopping with a list? Creating meals that fit your recipe criteria? If you are struggling with getting dinner on the table, especially during the holidays, make sure you check out my eBook that teaches you how to meal plan in 5 simple steps. It will change the way you get dinner on the table. Easy recipes are what I love to create at my house. Here is what I am feeding my family this week. What about you? Beef Tips and Noodles– instead of making this in the slow cooker, I made it on the stove and served it over rice instead of the noodles. We had rolls as a side. 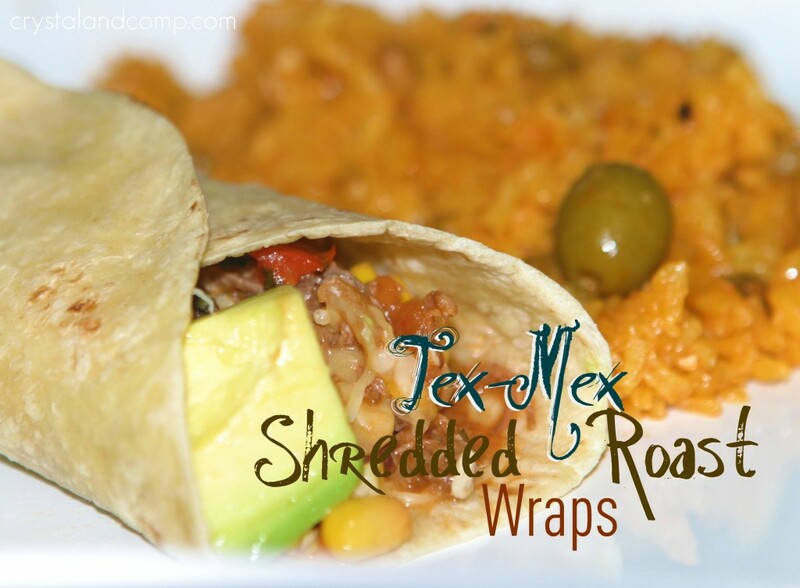 Tex Mex Beef Wraps– served with beans and rice. 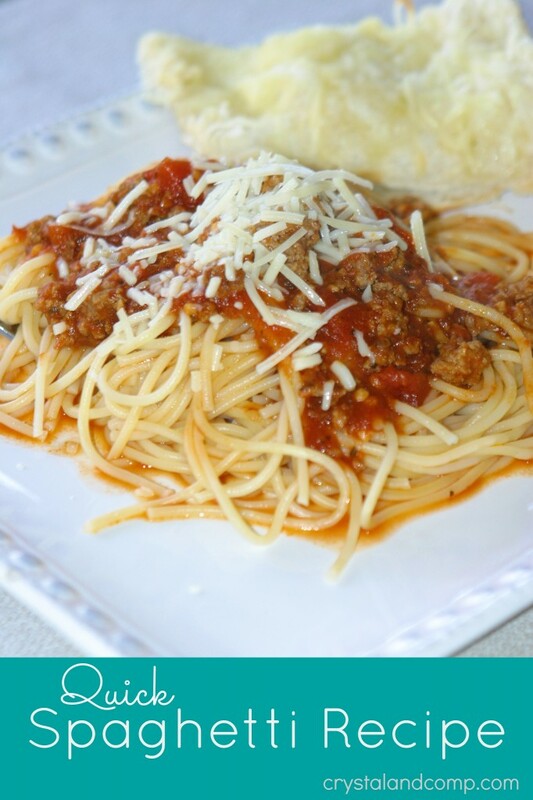 Spaghetti with Meat Sauce– totally a winner at my house! Served with a salad. Crockpot Beans and Rice– super easy, very affordable and high in protein. Baked Pesto Honey Salmon– served with couscous and a veggie. Last week I did not get my meal plan published, but I did cook all week and created some new recipes. I made a delicious Beefy Mac and Cheese on the stove that I will share with you later this week. Fall has totally arrived here in North Texas. Saturday morning we awoke to a typical humid warm morning and then by 10:00 am it was crisp and cool. We put on sweatshirts and jackets, of course. That is what you do here in Texas when it reaches 50 degrees. We are officially cooling off here in the Dallas area. I don’t know about you, but the weather, and our schedules, have great influence on the meals I choose from my collection of easy recipes to put on my meal plan for the week. I am thinking soups and chilli galore! Also, you’re going to notice a lot of beef recipes on my meal plan in the coming weeks. We have purchased a grass-fed Angus bull and we have harvested the meat that will provide great nourishment to our family. We are so grateful to have this for our family. Here is our meal plan for the week. 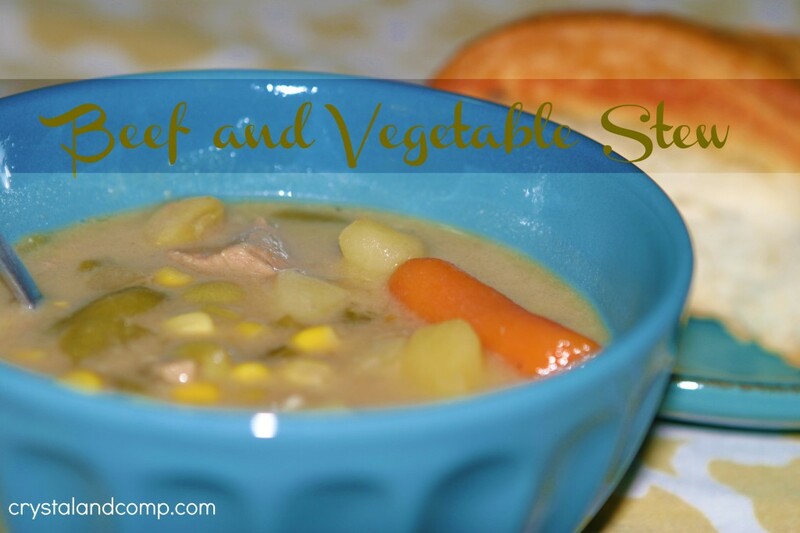 Beef and Vegetable Stew– served with buttered bread. Taco Soup– yum! Served with tortilla chips and shredded cheese. For the kids who think soup is too hot, drain the juice and serve the meat and bean mixture over a pile of chips to convert it to nachos. Top with cheese and they are good to go! Baked Brown Sugar Salmon– served with rice and a steamed veggie. Make sure you print out my free printable meal planner that is themed for October! You’re gonna love it! As you meal plan this week, share a picture with me on Instagram of your dinner with the hashtag #howtomeaplan! I would love to see! How many times have you heard me say moms are guilty of over-complicating things? I’ve said it here in this blog at least 100 times. If you attend one of my meal planning classes, I say it there. If you’ve read my eBook I tell you there. We do. We make things so much harder than they need to be. I am the guiltiest one of all. I am! Week before last I was teaching a meal planning class with a local mom group. 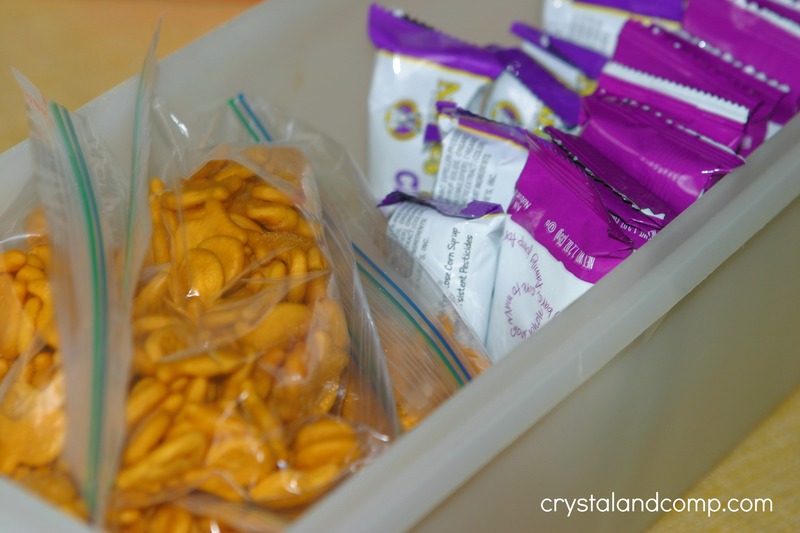 The topic quickly went to snacks and I shared with them how I make snacks easily available for kids at my house with these snacks for kids and my snack bucket and snack crisper drawer. During the class other moms started sharing their ideas too- the things that work for them. One mom brought up a very good point about potion control and buying mass quantities and keeping your kids from over eating all the snacks. Another mom was quick to share her solution and I tell ya, a big light bulb went off in my head. Why had I never thought to do this? How easy and awesome is that?! What a valuable time saver and money saver. No over snacking, no sorting it out while you’re trying to move on to the next task. It is all pre-done. This is perfect for those who buy in bulk and just in general for portion control. I purchased the mega pack of Goldfish at Sams. What I dislike about buying in bulk is storage and the big bags do not fit in my snack bucket. 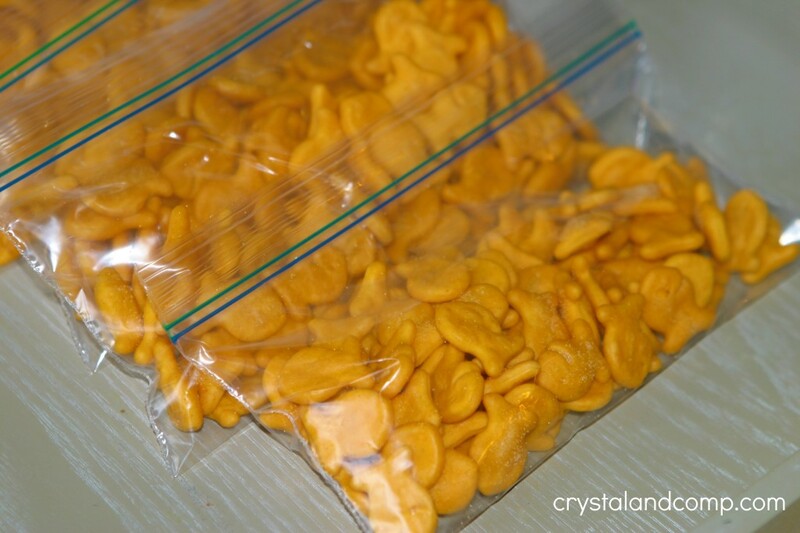 Here is how I made snack bags for the Goldfish and added them to our snack container in the cabinet. I read the package to see what the suggested portion size is. This is exactly what the attendee from my meal planning class suggested we do. 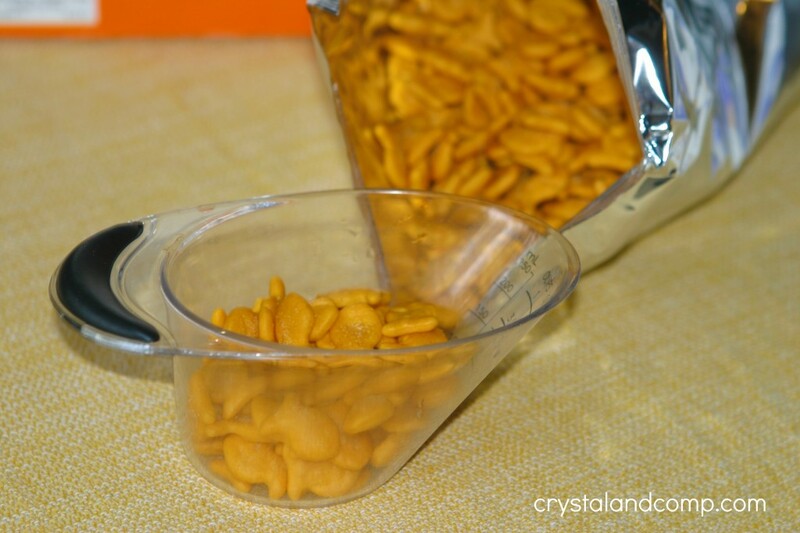 One serving of Goldfish is 55 pieces- which is about 1/2 a cup. I measured out one serving size. Pour one serving into a snack size ziplock bag. This is cheaper than buying Goldfish in the already snack size packages and my mass quantity that I purchased is now stored and sealed and will not go bad. Repeat until you’ve portioned out all of the snack. 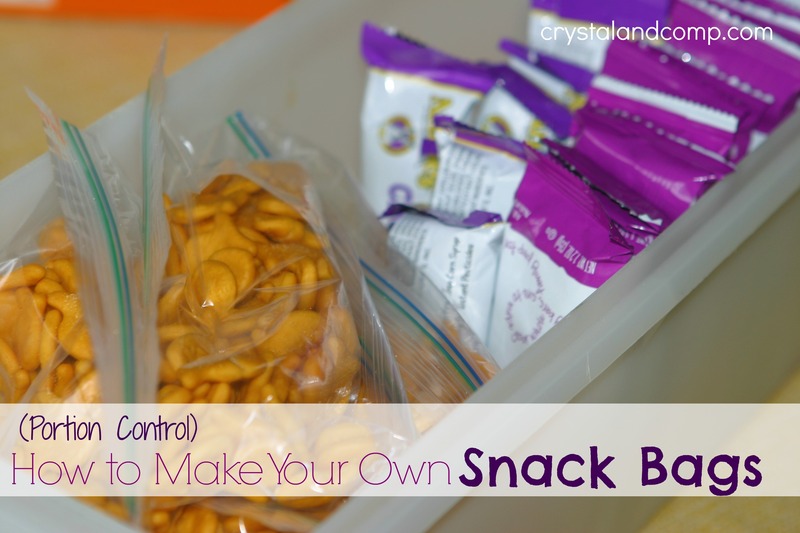 Toss them in your snack container and now you have portion controlled snacks on hand for after school snacks, for lunchboxes, during homeschool time, when you’re headed out the door to sport practice or church, etc. 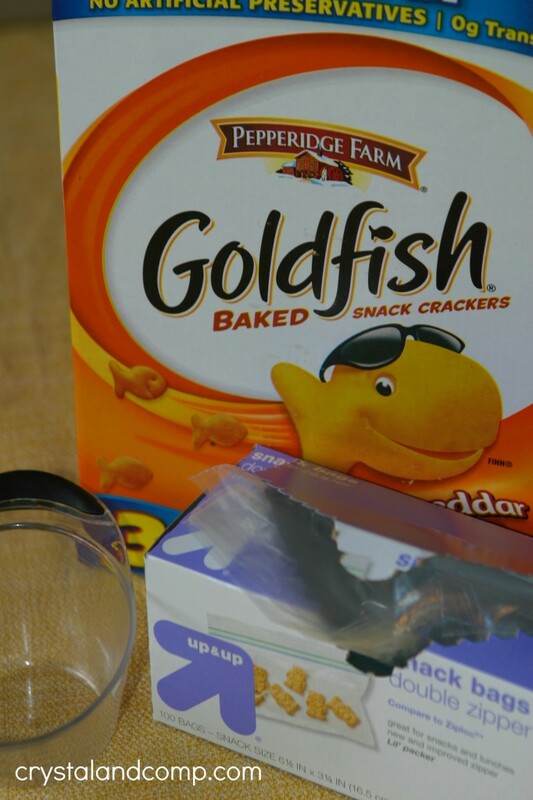 This saves you so much time and snacks are ready to go and you’ve saved money! Do you have snacking tips you want to share? I would love to hear them in the comments! Are your kids ready for a snack as soon as they get home from school? What about those of us who homeschool and need to ensure we have snacks on hand for the afternoon. As you know, I suggest weekly meal planning snacks for kids! It’s easy, you just incorporate them into your already established meal plan. I also have found that having snack drawers in the fridge and cabinet accessible to children is a life saver too. Earlier this week, I was invited to participate in a Google+ hangout that hosted by the awesome Megan from Coffee Cups and Crayons. The hangout focused on school lunch snacks and after school snacks with awesome ideas from other mom bloggers. I loved all of the healthy snack ideas each of the moms shared. Some of my favorite ideas were easy snacks you can make together. At the end I shared my solutions and tips for incorporation snacks into your meal plan each week to save time and money. Make sure you also check out my free printable meal planner sheet that is perfect for planning out your snacks each week. Oh, and since we’re talking about school lunches and school snacks, don’t forget my free printable lunchbox note cards for your kiddos! Anthony is playing football this season. This is his last year to be able to play rec, since he is 12 now. I am very much on the fence about this sport. I think it is dangerous. I have seen some very ugly injuries out there. I think it is hard on your body as a player. I think you are married to it (hello, practice 4 nights a week, plus games). That is a lot to ask of a family, in my opinion. I think the parents get overly competitive. And mouthy. I think the coaches can be out of control. And mouthier. Not really a fan. But, we live in Texas- where people eat, breath and sleep football. And my husband played through high school and boys want to be like their daddy. I must say, Anthony is really good at it. I do enjoy watching him. That said, Nick, one of our 7 year old twins, is already begging to play next year once he is old enough to play tackle (he does not want to play flag). I have reminded him a million times he is so super awesome at baseball…. At any rate I need a meal plan that is quick and simple with easy recipes. So, here is what we are having. 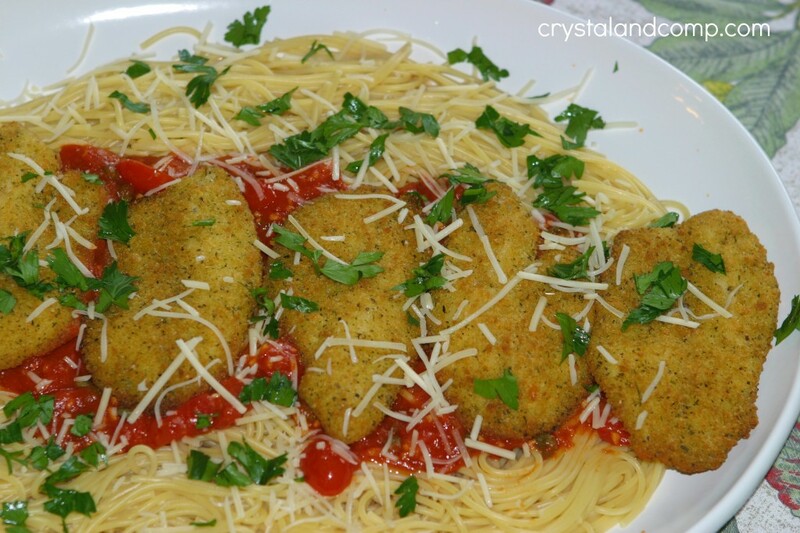 Parmesan Tilapia over Simple Cherry Tomato Sauce– so yum! Served with asparagus and rolls. I am actually making this twice this week because it is so simple and this sauce is soooo amazing! The second night I will serve it with a dinner salad and fruit. It takes 30 minutes to make it. Love that. Corn Dogs– with tater tots and fresh fruit. Catalina Chicken in the Crockpot– served with steamed rice and a steamed veggie. Bean and Cheese Tostadas– with Puerto Rican Rice. 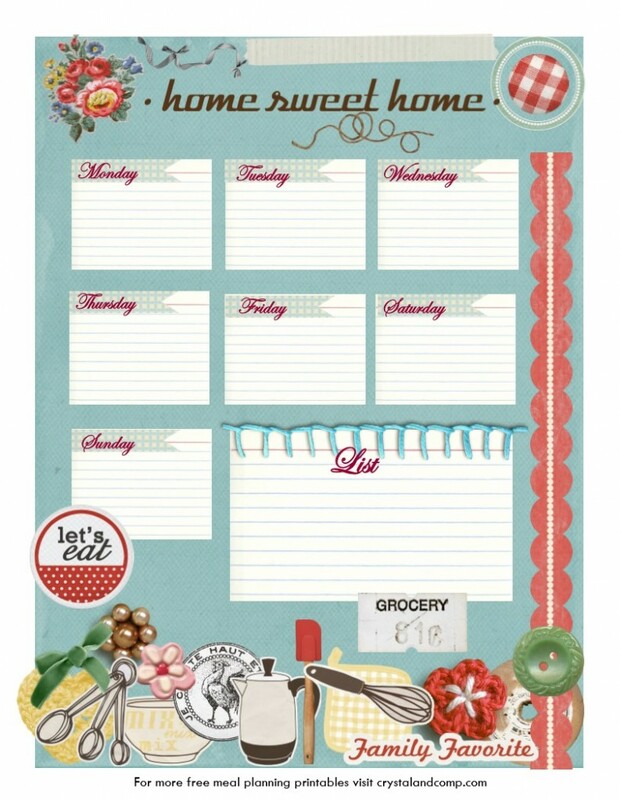 Make sure you print out my free printable meal planner that is themed for September. You’re gonna love it!